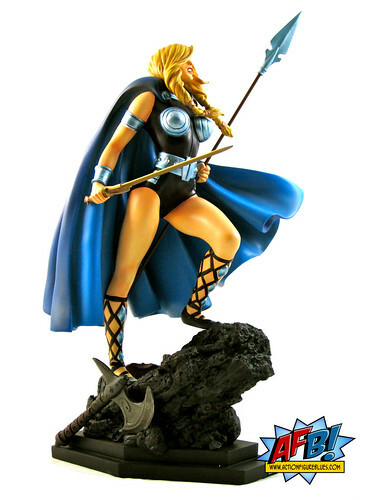 Bowen hits a new high with Valkyrie in full size statue glory! 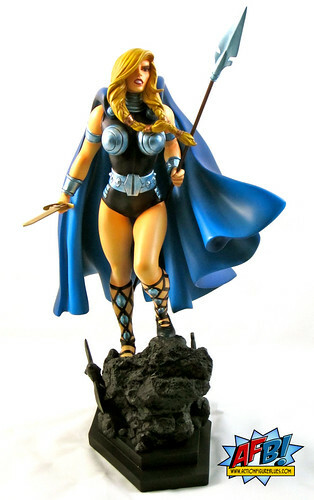 I’m going to upset my OCD by jumping around in the order of review of my Bowen Statue acquisitions, but the tale of how I ended up with my Bowen Designs Valkyrie Full Size Statue is so good, and I am so delighted to own this particular piece, that I had to bump her up the schedule! I think have mentioned before that my discovery of classic Bronze Age Marvel Comics came about in high school when an older friend joined the Navy and gave me a giant box of comics to save them from being thrown away. Amongst these were many classic AVENGERS, FANTASTIC FOUR and DEFENDERS issues which I treasure to this day. I fell in love with all three teams, but there was something edgy and dysfunctional about the Defenders stories, that Marvel’s premier “non-team” became a beloved favourite of mine. One of the reason that I have such an ongoing habit of buying the latest releases from Bowen Designs is that Randy Bowen loves the same era of Marvel Comics that I do. 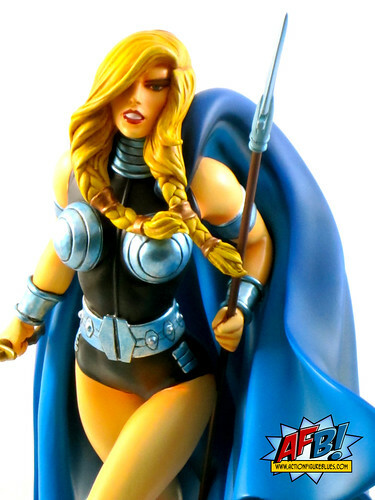 Valkyrie has had a recent resurgence in the Marvel Universe, but those that love her are most likely fans from those days of the classic Defenders stories, and the sculpt that Randy has put together definitely harks back to that era. As soon as I saw the solicits for this piece, I knew I would be ordering, and when it came out in Previews I diligently placed my order with my then-LCS, as this was prior to my move to Melbourne. I kept a close eye on the release dates, and became especially glad I’d ordered this through Diamond when it became apparent that their shipment of this piece was coming out even before Bowen’s own website! Imagine my dismay, then, when my old LCS told me they’d been “allocated” on the statue and had no idea when or if my piece would arrive. It never ceases to amaze me that Diamond can force us to order a piece so early (there is often at least a six month window for Bowen pieces) and then fail to deliver at the last minute. I’ve been left out in the cold like this before, and I knew from experience that I didn’t want to risk the secondary market on this piece, especially once I read that others were missing out on theirs as well. I’m not the most patient of souls at the best of times when it comes to waiting for new collection pieces, but finding out I might miss out on Valkyrie filled me with an extra dose of collecting panic! My Melbourne LCS, All Star Comics, is an awesome shop, but they don’t tend to order in big pieces like this on spec, so I needed to cast my net wider. 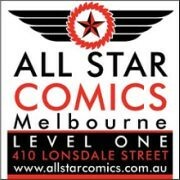 Thankfully, I’d recently been to the opening of a new shop for an old Melbourne presence, Alternate Worlds, and knew that they had an extensive Bowen collection and just might be able to solve my Valkyrie dilemma. I was very glad to hear that they did indeed have Valkyrie in stock, and were prepared to sell her to me even though they were sorry to lose her from their window display! All I can say about this piece is that she was worth all of the hassle involved in actually getting her into my display. As I mentioned, Randy Bowen sculpted this statue himself, and he has done a brilliant job of capturing Valkyrie in all her classic Defenders glory. I have read a bit of discussion about the way in which her hair covers the right side of her face, but this is exactly how she appeared for many years of Defenders stories. Randy doesn’t sculpt females often, and while the aesthetic of Valkyrie’s facial construction is different from the latest crops of Bowen ladies, it suits the classic version of the character perfectly. I couldn’t be happier with it. The pose chosen for this piece is a very nice medium between action and museum, and the result is majestic. Valkyrie hasn’t just received a berth in the Bowen statue line - she’s received a place amongst Bowen’s best efforts. Her uniform is intricately sculpted - her arm and wrist bands, breastplates, belt and boots are all lovingly detailed. Her cape is a thing of beauty in itself - it’s huge and “flows” beautifully. Valkyrie holds a spear in one hand and a sword in another. These are very cleverly designed so that the ends are removable pieces, making them less susceptible to breaking while being unpacked. They have sturdy but slightly flexible ends which should stand the test of time. The base is something quite different from Bowen’s normal fare. It’s an unusual, wedge-like shape that provides a solid foundation but lets Valkyrie herself take center stage. It’s not a large base, which means that despite this being quite a sizeable statue, it can still share shelf-space nicely - always a plus at my house! The paint work on this statue is exceptional. Her hair, skin, bodice and cape are done with matte paint, and all of the colours are perfectly chosen to reflect her trademark appearance. The metal elements of her uniform and armor have are painted with a metallic tinge, and it’s the choice of this paint, which has a blue tinge to it, that I think is the making of the piece. It adds depth to the piece and ties the overall colour scheme together. It doesn’t distract the eye, but instead adds a lovely glow to the overall effect. It also makes the inclusion of the gems on her boots, which aren’t necessarily a part of her iconic classic look, forgivable, simply because they look great! You can see more pics at Facebook, discuss this at the AFB Forum, and you can comment on this post to enter the August AFB Comment of the Month Contest! Love this character and yes am one of those who knew of her from her days in the Defenders. Beautiful statue and am glad to see her making a come back. Marvel Select adds Gambit to the X-Men! AFB Asks Matty for August 15 2011! New MOTUC Figures send AFB to the search engines!